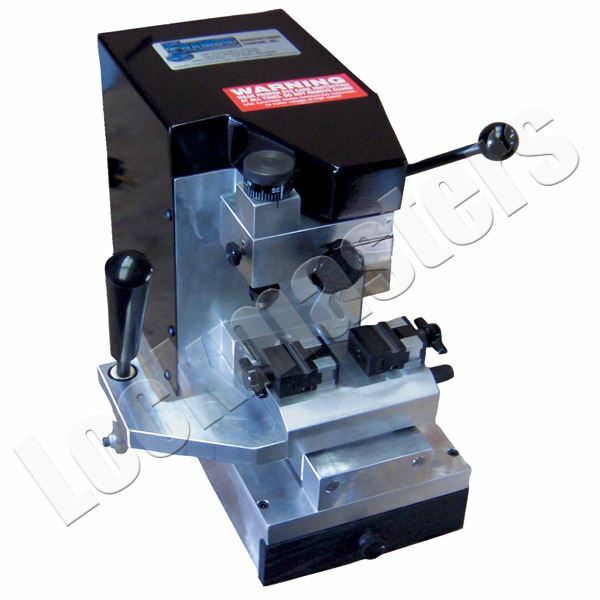 Long an industry favorite, the Sidewinder key machine is now faster and smoother than ever. The Sidewinder is designed to quickly and accurately duplicate automotive high security keys such as Mercedes 2 & 4-Track BMW, Lexus, Infiniti, Volvo and Saab. Framon has added a spring-loaded carriage and handle for extra quickness and accuracy the carriage now also features CNC-grade linear bearings that ride on hardened steel pins. Spring-loading on the vise table makes all operations exceptionally smooth and easy. The Sidewinder can cut any side-milled, high-security automotive keys in use today and you won't need to buy extra components. See why Framon gives you the greatest speed and control of any key machines on the market.